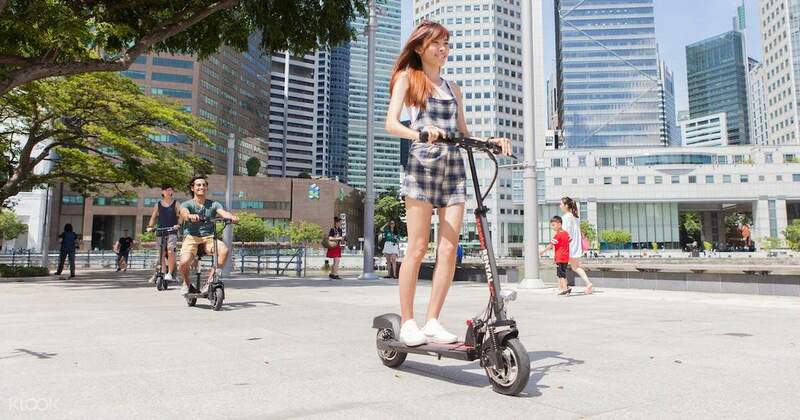 Registrations for e-scooters have been mandatory by the Singapore government in March. So if you own an e-scooter, you can start registering your devices from 2 January to 30 June 2019. The registration can be done at SingPost offices or on LTA’s OneMotoring website for a fee of $20. However, this fee will be waived for owners who register before March 31. Those who register their e-scooters must be above the age of 16, and must declare that the devices meet criteria such as a maximum weight of 20kg and a top speed of 25 km/h. Those found to have made false declarations face fines of up to $5,000 and a year’s imprisonment. Once the device is successfully registered, users will be issued with a unique registration number which needs to be affixed on their e-scooter. The LTA will also issue a separate registration mark that must also be displayed prominently on the e-scooters. Those who register online will receive the LTA Registration Mark via registered mail, while those registering at a SingPost office will receive it on-site. Owners have a grace period of 14 days to affix both marks, beyond which they may face a fine of up to $1,000 or up to three months in jail. From July 2019, those found riding unregistered e-scooters on public paths will face fines of up to $2,000 and up to three months’ jail for a first-time offence. “These measures are aimed at deterring reckless riding and facilitating enforcement efforts against errant riders to improve public safety for all path users,” said the LTA.